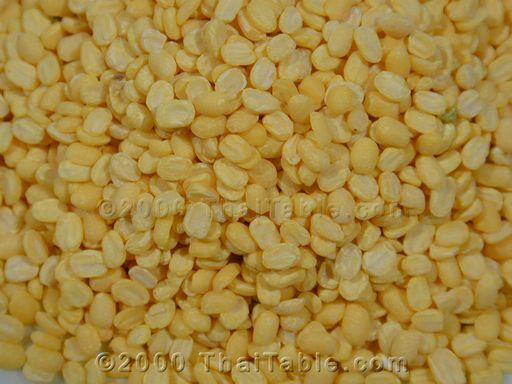 Hulled mung beans are also known as split mung beans. The outer green skin is removed and the bean is split into two sides. Mung beans are probably the most important beans in Thai cusisine. Several desserts and snacks are made with hulled mung beans. No need to refrigerate the beans but keep them in a dry cool place. They can last several months. The beans are available at Asian markets and Indian/Pakistani markets.